Sensible advice from a random creative and enough said. Seemed like a plan in my head, after a few glasses of apple juice @ daft o’clock in the mornin’, you may know what we mean? One of those light bulb moments and bright ideas of things to do at any given time, for no other reason than, it sounds like a plan. 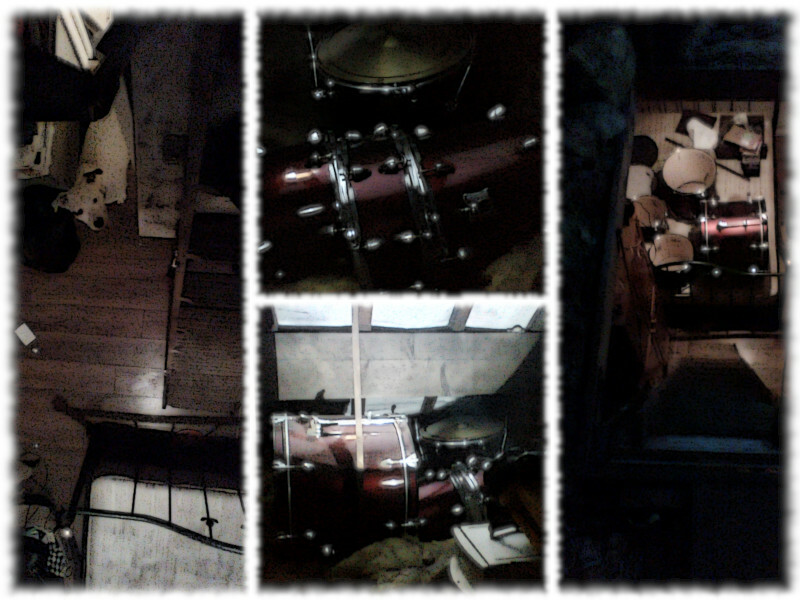 Off we went, up into the attic to rescue a drum kit we’ve been wanting to get down for time. A little more apple juice and we’re up those ladders with a positive attitude, a can do approach and the odd wobble thrown in, just for good measure. Casually as we like, twistin’ and turnin’ as we go. The odd pause and restart to fuel up and we’re on a roll. 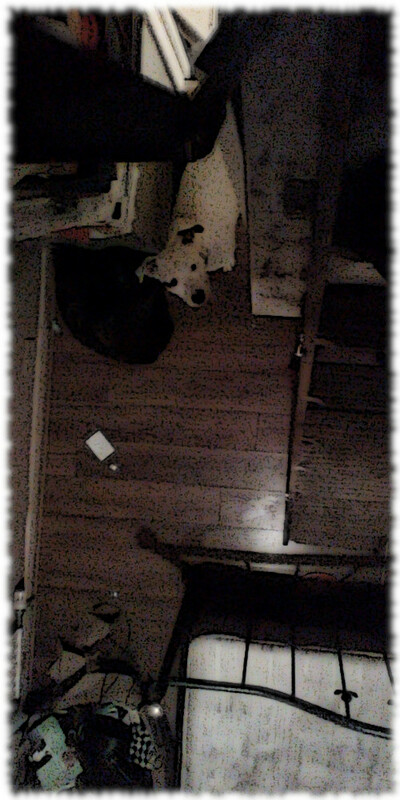 Eventually, we managed to avoid rolling the bass drum down the ladders and crashed our way round the attic, doin whatever it is we do in our heads. A positive vibe buzzin’ somewhere for our future unknowns, with a random new creative, sometime whenever.